Quick, what's the name of the DC Comics super-team made of villains who go on potentially fatal missions? Yup, it's the Suicide Squad. Only that's not what they're going to be called in the Lego Batman 3 add-on coming early next year. There, they're going by The Squad. In The Squad add-on content pack, a mysterious figure has infiltrated Belle Reve Penitentiary, and it's up to players to smash their way through the prison as Deadshot, Deathstroke, Harley Quinn, Captain Boomerang and other members of The Squad to hunt down this infiltrator before Amanda Waller's—and The Squad's—secrets are uncovered. Expand your LEGO Batman 3: Beyond Gotham experience with the DLC Season Pass, currently available for $14.99. The DLC Season Pass allows players to access The Squad and other add-on content packs, includingMan of Steel, Dark Knight, Batman 75th, Arrow and Bizzaro World as they become available. You can also purchase each Season Pass pack separately for $2.99 each. 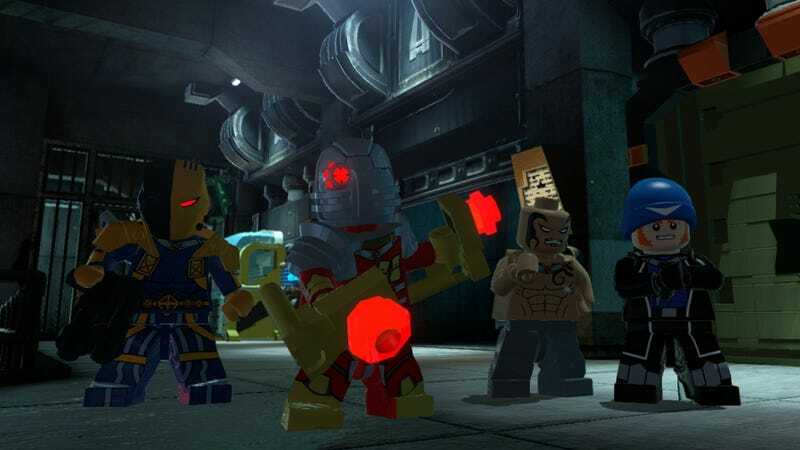 The line-up of characters showing up in Lego Batman 3 isn't exactly the same as the Suicide Squad that will be in the upcoming live-action movie. That Suicide Squad, in turn, is different than the one that headlined in this year's animated movie. And, if the teasers at the end of last year's Batman: Arkham Origins were foreshadowing a game tie-in to the 2016 movie, the Suicide Squad in that title might have yet another roster of bad guys. The squad has had an ever-shifting roll call ever since its inception so it's not like the Lego Batman 3 version is breaking with tradition in any big way. It's a safe bet to say the Squad won't be as raunchy or lethal as in their other adaptations.